The number one Geographic Information System built with the full power of Google Maps. Maps is our main tool and the reference application to quickly consult all types of geographic information. 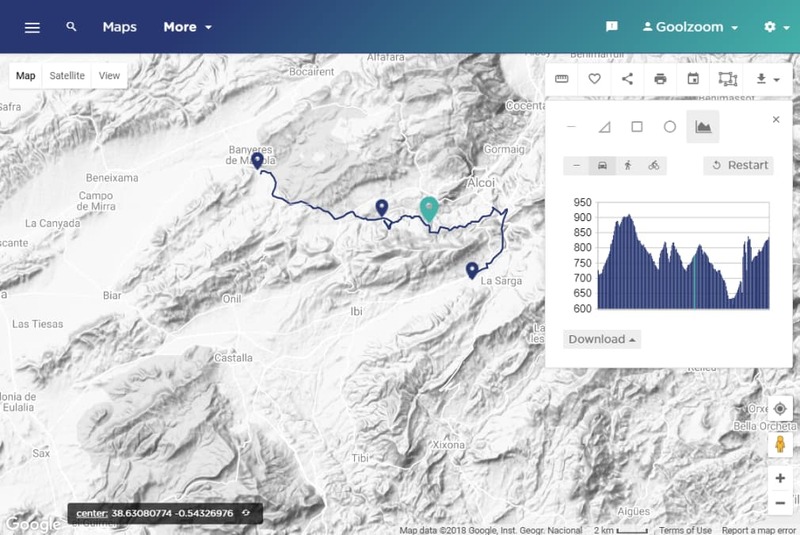 Connect to large volumes of data just as easily as you use Google Maps. 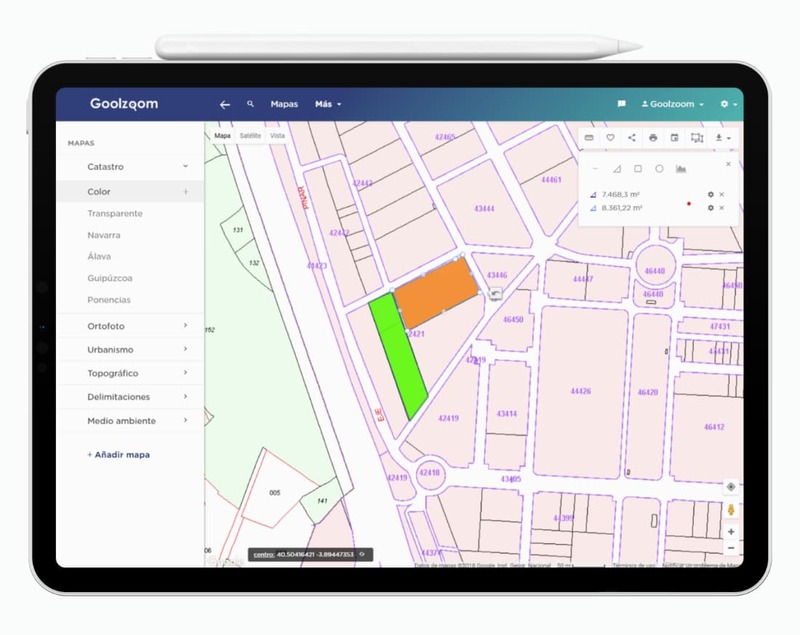 Improve productivity with the most advanced tools for managing geographic information. We have developed the most extensive map library to superimpose all kinds of geographic information on Google Maps. 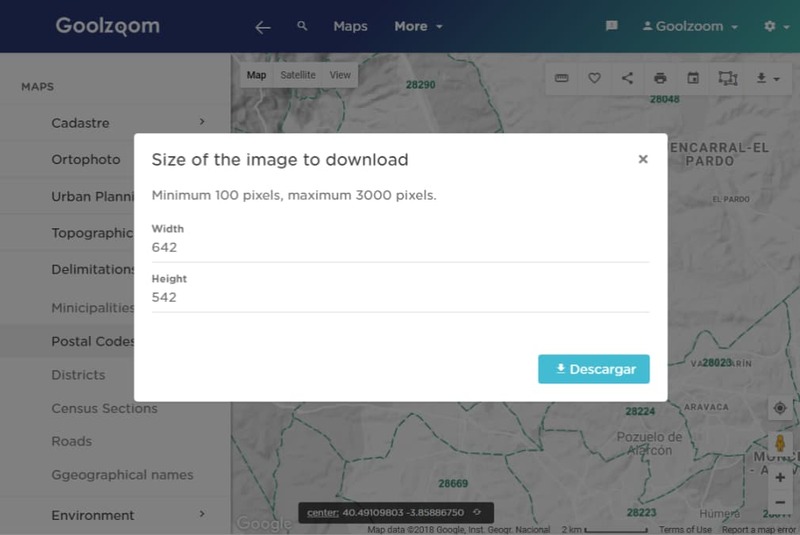 Google Maps with the maps of the Virtual Office of the Cadastre, historical cadastre, presentations of values, cadastre of Navarra, Guipúzcoa and Álava. 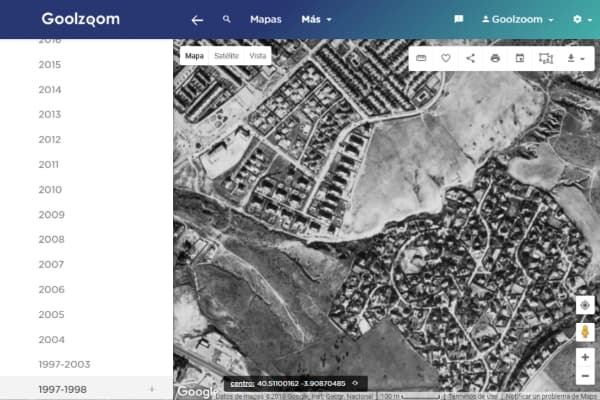 Discover the incredible advantages of being able to view parcel borders and plots on Google Maps satellite images with Street View. Compare how a terrain has evolved over time. Connects with current and historical PNOA orthophotos with maximum coverage throughout Spain. 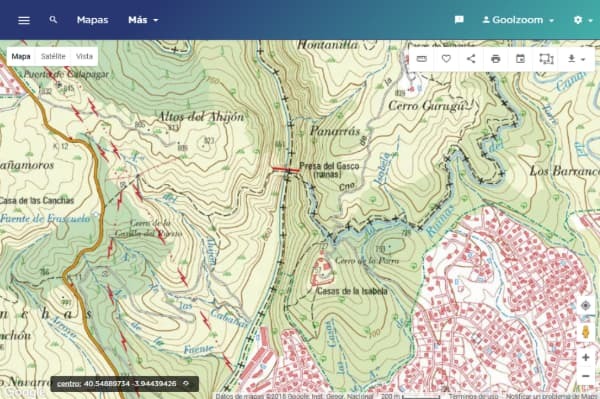 We have grouped the main servers of topographic maps, urbanism and environment of Spain with greater speed and availability so that you do not have to search for them. 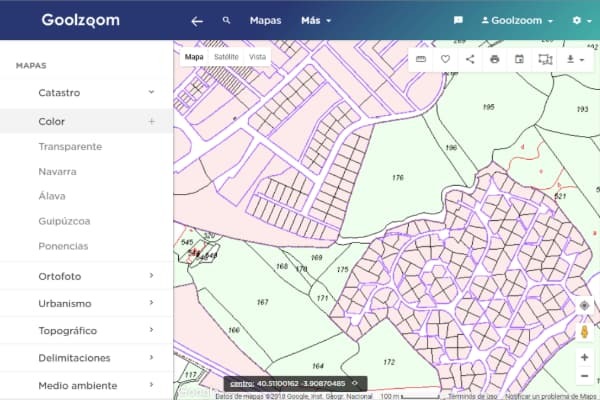 Developed on the world's leading map system, with high-definition satellite images, oblique images in cities, Street View, geocoding of addresses and shops, list of suggested sites in searches and high speed cartography. Very easy to use and powerful at the same time. Of surfaces, areas and longitudinal profiles. In image format, GeoTIFF, Kml, Pdf. Dxf of cadastral maps. 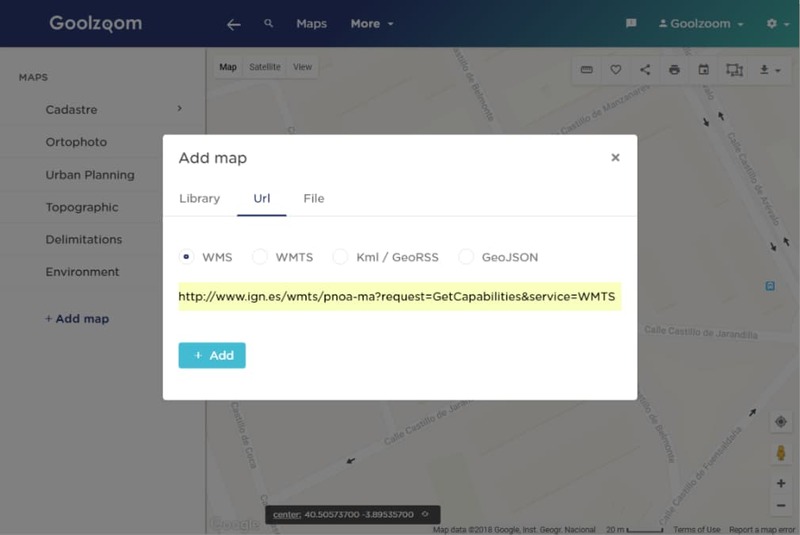 Kml files, GeoRSS or GeoJSON, WMS and WMTS services. With your colors and logo, in Spanish or English. 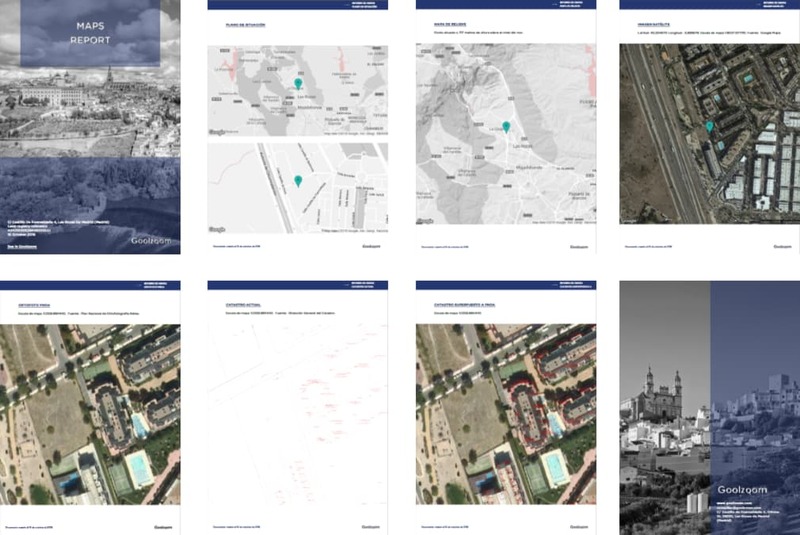 Map reports, evaluation reports and descriptive and graphical consultation of cadastral data. We have been developing this tool since 2006.